Irving showed excitement about IntoNow for iPad, another product that Yahoo released Wednesday. 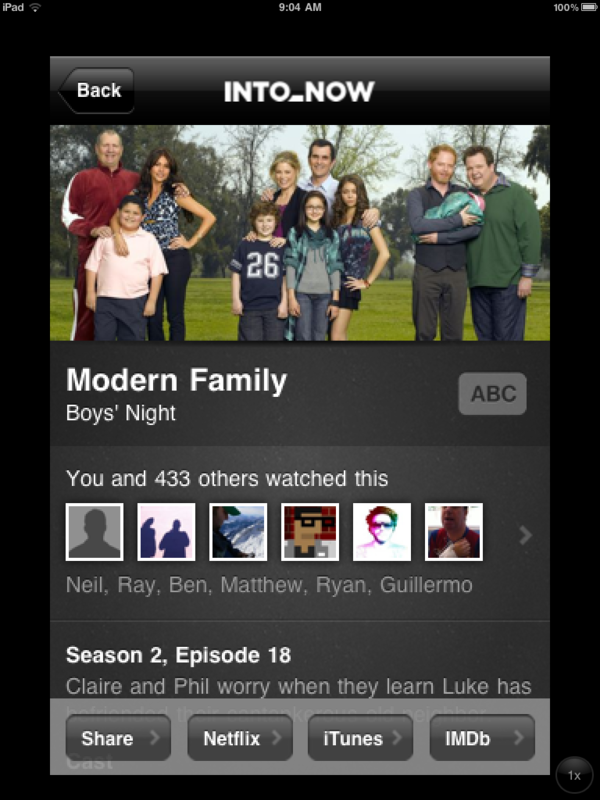 The app can “listen” to a TV show and figure out what show and episode the clip comes from, but it now comes with tweets and information related to the show. This makes it an ideal TV-watching companion. “It allows you to have a personal experience for television when your’e in a shared environment,” Irving stated. Perhaps the most important thing about the app, however, is its ability to track user behavior as they watch. Irving says Yahoo knows if someone is “in front of the TV or at the fridge” based on their behavior with the app. Activity on the app can reveal whether somebody is interested in an on-screen character or presenter, or has tuned out and is doing something else. Irving even made a bold claim about how much information Yahoo can gather through the app: “We will know more about what’s happening on TV than Nielsen,” he said. This information opens up a huge opportunity for brands. Irving explained the app may know somebody is watching a Coke commercial during a TV show. “Couldn’t you advertise Pepsi?” Irving said. He believes the app provides a better place to advertise, since viewers’ attention moves away from the TV and towards the tablet during commercial breaks. In fact, Pepsi and IntoNow have already partnered on one promotion; users that tagged a Pepsi MAX commercial received a free soda. How does IntoNow and Livestand fit into Yahoo’s overall strategy and future? We’ve heard Yahoo say over and over that it considers itself the premiere digital media company. Irving fleshed out that description by saying today’s web is good at relevance, but isn’t good at “providing real meaning” to the things we watch and interact with.